I’ve been meditating on and off for the past ten years. It wasn’t until late last year that I started getting consistent about my practice. While it did take some time to get there, the benefits I noticed were extraordinary. Not only did I feel increasingly focused and calm, but I was able to sleep better, become less “reactionary” to situations, and be more present for those around me. I’ve always liked meditation, and in theory it’s so easy — just sit there and breathe? No problem! However I quickly came to notice that, for me at least, dropping into a meditative state is not as simple as it’s often made out to be. There were too many things to think about, from work to relationships to my never ending to-do list. Still, I worked on it consistently over time with some easy exercises assisted by a healthy dose of coaching. Night over night, I showed up even just for a few minutes. As a result, I’ve been able to take my sessions deeper and deeper. The key was in starting small. Having a variety of visualization exercises handy helped me go after the issues I was out to tackle right away: problems with sleeping, anxiety issues, and financial concerns about the future. Here are some tips on how I got there, along with the deep, long-term benefits that meditation can provide. Step 1: Calm and center the physical body. If you’re like me and need a bit of guidance to get started, one simple and effective technique is to do a basic body scan. Step 2: Become aware of your mind’s activity. Notice, then release, the crazy parade of thoughts and feelings marching through your mind. Releasing these thoughts is key and tends to be the most challenging part of dropping into a meditative state. One technique that worked for me was picturing each thought as a balloon. After identifying the thought, I would acknowledge it, then release the balloon away into space. Another technique is to view your thoughts as a film reel. Observe the film as it plays, then slowly move yourself further away from the screen. One of my favorite exercises is to visualize a set of Jenga blocks. When I see the initial stack, the blocks are all out of order. They form a jagged tower that’s going to tip over at any moment. As I continue to breathe, the blocks begin to align. This exercise is incredibly centering and goes great after steps 1 and 2 above. These first two steps usually take me twenty minutes or more before I drop into a meditative state. Some nights it doesn’t work at all, and in those moments it’s okay to be patient and try again the next night. Even a few minutes of deep breathing will help to get the habit going. The time you meditate can vary from person to person. still. Many people find that mornings are equally if not more effective. Even taking a break during the workday, while challenging at times, can provide you with a moment to regroup and recharge for the rest of the day. Meditation can reshape the way your brain works in endless ways, from reducing stress to promoting mindfulness and a positive attitude to improving overall focus and concentration. 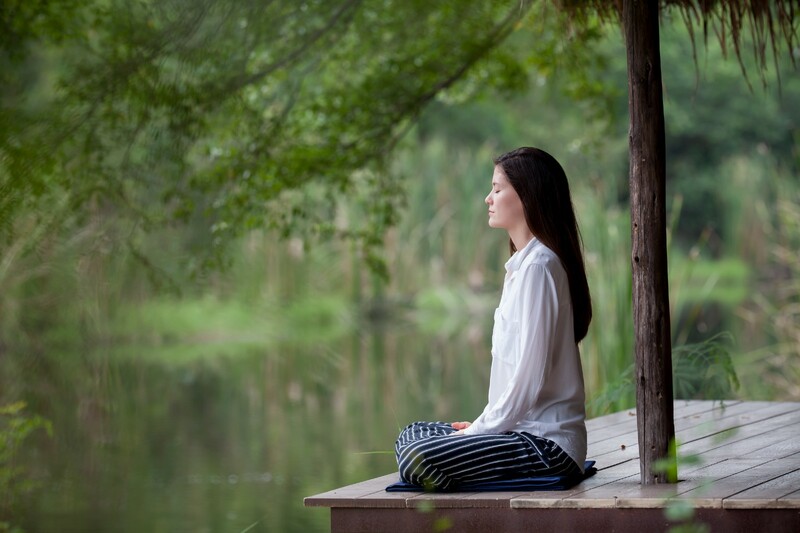 Meditation has been proven to support the immune system, increase happiness, and slow the aging process. If you’re new to meditation don’t worry about doing the right type or having the right tools (i.e. the latest app). The best technique is age-old and strips everything else away: simply sit comfortably, close your eyes, and breathe. If you are looking for a place to begin, here are some wonderful (and free!) meditations to choose from compliments of wellness coach Kayleigh Pleas. Brand Storyteller & Growth Marketer. Music nerd. Tribe = global. 🌎 Exploring the intersections of Technology, Society and Culture.